The Pokémon Trading Card Game National Championships are just around the corner. So what does that mean for competitive TCG players? April and May were filled with the trials and tribulations of State Championships and Regionals. These events are how competitive players gain points and hope to qualify to compete in Nationals, and score invitations to the World Championships in August. So what exactly is a State Championship? 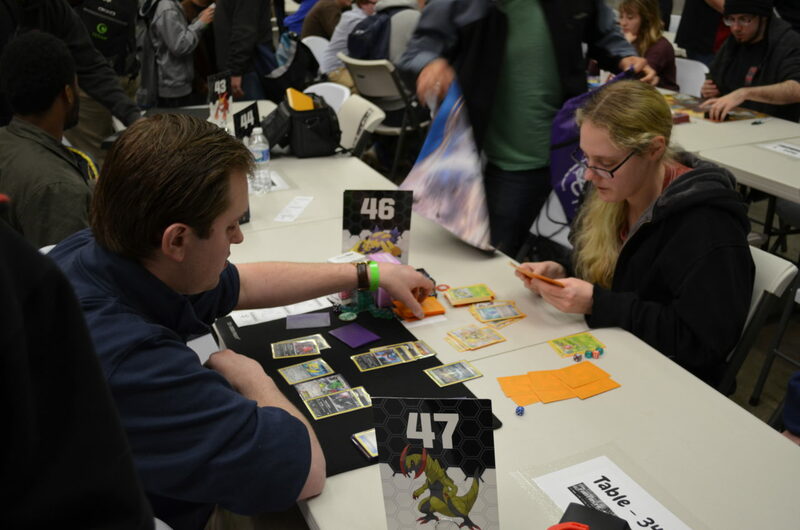 As an avid Pokémon fan, and TCG player, I decided it was about time to investigate (and participate in) my state’s local Championships held in Chantilly, VA. State championships are actually open events—this means anyone with a standard legal deck, and some semblance of the rules and regulations of the game can participate. For more on deck building please see here and here—unfortunately, you can’t roll into the competitive scene with just your binder of holographic cards straight out of 1999 (SORRY, CHARIZARD—you are still my favorite). Cards that are legal for play are typically produced within the past year—this creates a fair playing ground for competitive play. A typical tournament day begins with mingling and deck registration. Players typically trade cards, and finalize their deck. Championships are Premier events, sponsored by the Pokémon Company International. These events typically run for a full day, and are held in various locations—the State Championship I had the pleasure of attending was held in the back of the Fantastic Store, a game and card store in Chantilly, VA. Structured tournaments are designed using Age-modified Swiss pairings. So what the hell is a Swiss pairing? Isn’t Pokémon Japanese? A Swiss pairing is a 3 round match. Whichever players wins the most matches, wins that round, and is paired with another winner for their next match up. Typically, a Swiss pairing means your name is just randomly paired against another player within your age division. There is no way of knowing who you will play until a match list is posted. This is why premier events are a great way to meet and mingle with new people and other players within your age division. Then, you play! Plan to schedule a full day of activity—snacks a bound. The State championships was comprised of 5 rounds of swiss pairings. This means you have the potential to play 15 rounds. Tournament fee. This varies on location/event. In my case, the cost was $15.00 USD which provided each player with a commemorative die, card, and play mat. One of the first things I noticed at the state championships was the lack of women, specifically in the master’s division. I could easily count the women on one hand, and in a room filled with approximately 200 people—that is not a very even ratio. When I looked at the younger divisions (seniors and juniors)—it seemed to be split 50/50. What was the deal with the older demographic? Did women just stop enjoying Pokémon after a certain age? Obviously, I found this hard to believe (I’m 25 and I have no intention of giving up Pokémon anytime soon). I spoke to some female trainers to get to the bottom of it. Erin P. of the masters division battles with her Raticade Break deck. While I waited for match-ups to be posted, I met Erin P., 22, of Fredericksburg, VA. Erin has been playing the Pokémon video games since the early 1990s. She was introduced to Pokémon TCG at a young age, and is active in her town’s Pokémon League. Erin cited that joining a Pokémon League helped her to go to more events and gain exposure to the game in a competitive setting. Erin also noted that her League had far more women participants than were present at the State championships: “More women/girls attend the Pokémon League, but they just aren’t interested in competitive Pokémon. Partially it’s because the card game culture can be toxic. But I haven’t ever actually experienced that. Everyone has been friendly and inviting at the premier events that I have attended. Maybe if they participated they would change their mind.” Erin’s deck for States was a Raticade Break Deck, which is a dangerous combo that knocks opponents Pokémon down to a remaining 10 hp in a single attack. Erin based her deck on the card as soon as she saw it at a Pre-release event. Although Erin has no intentions of attending the National or World Championships, she still attends Regionals and States to play. Like Nicholena, it’s not unheard of for women to quit after entering the competitive card scene because of the negative nature. However, Nicholena stated it is possible to change the mentality of the game if women want to push back. Nicholena’s piece of advice for women who want to play Pokémon competitively is that women should be prepared for criticism, but if the game is what you want to play, then you should continue to do what you want to do regardless of the conflicting viewpoints. 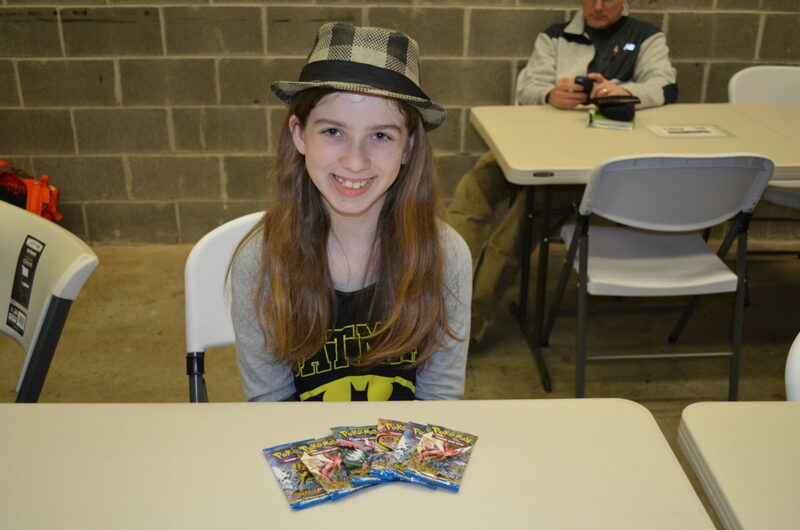 Georgia H., a junior division trainer, poses with her newly won booster packs. So what is it about the younger divisions? How can young girls begin their journey to Pokémon mastery? Georgia H. of the junior division has been playing Pokémon for 5 years, since she was actually too young to read the cards. Georgia’s mom, Marthe H., decided to help start a Pokémon league in their area because the game was so popular with her son and daughter. 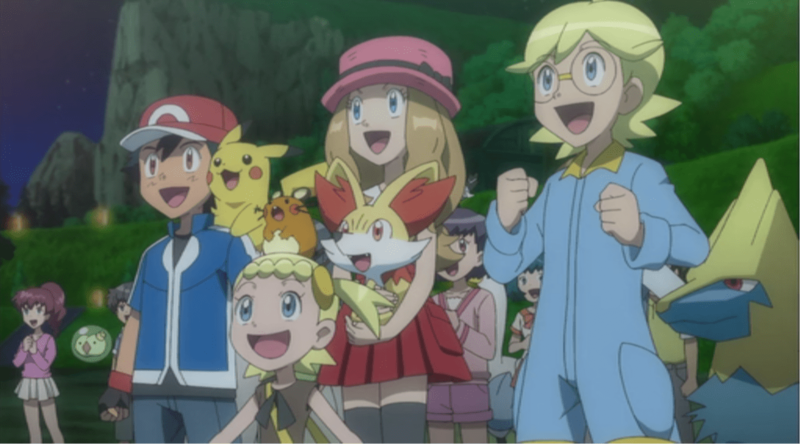 With the help of her parents and older brother, Georgia learned the game, and continued to inspire other classmates & friends that were girls to join the Pokémon League. Now, Georgia has already been invited to compete at World’s this summer. Although Georgia’s skill can’t be denied, some of the success should be contributed to Georgia’s parents for their encouragement and involvement in creating opportunities for Georgia to participate and succeed. Marthe’s advice for young women and parents who want to help their children to get involved in Pokémon is sound advice for women of any age interested in Pokémon: don’t be discouraged. By encouraging girls to create a supporting group of friends that enjoy competitive play, you are helping them build life skills such as responsibility, sportsmanship, and independence. By encouraging women to participate in any age division of Pokémon, we can foster a fun, competitive, and inclusive community for all. If you are interested in starting your journey to be a Pokémon master head to your local Target, pick up a deck, find some friends, or join a local Pokémon league. The competitive world of Pokémon could always use more women that want to be the very best, that no one ever was. If you see me at a championship event, I may even trade you my holographic Charizard. Any chance of more articles on Pokemon? Like how Pokemon’s genders on the show are both defined and not, or how it took until the 6th/7th game to finally get a female avatar? The first female avatar was in Crystal if i remember right which depending on who you ask can be the fourth game or 6th (Depending how you count the versions). This was a nice article and maybe you could write about how a couple of girls have been the pokemón champion in videogames and TCG in the last years. Although only in the younger tiers like you said.